Sometimes cultural barriers are harder to overcome than architectural barriers, and it is often the case that people with disabilities are treated unsuspiciously, without awareness. We talk about it with Simona Petaccia, Journalist and President of the Direct Rights non-profit organization. Cultural barriers, like architectural and sensory ones, can negatively affect the quality of life of people with disabilities. In particular, certain attitudes and ways of asking oneself, even if based on good intentions, can prove to be incoherent and cause discomfort, embarrassment or frustration. 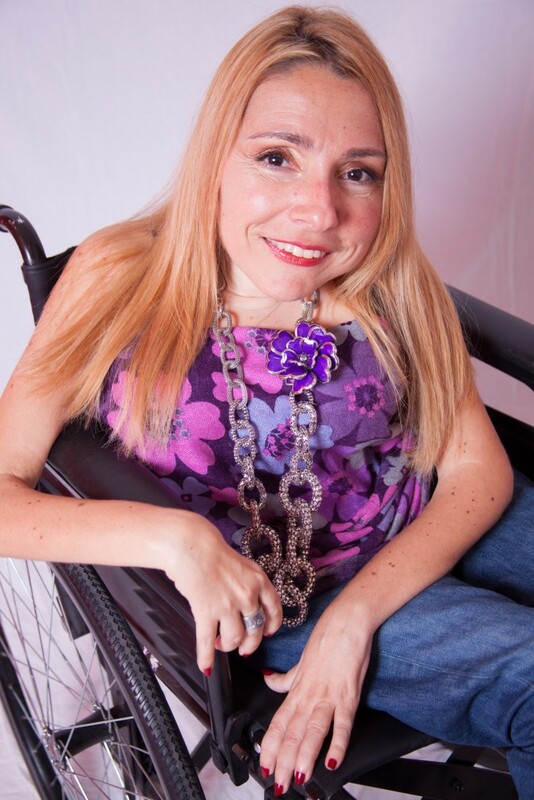 We talk about it with Simona Petaccia, President and founder of the Onlus Rights Direct that since 2008 plans, teaches and communicates accessible tourism. What are the problems, not directly attributable to architectural barriers, that can meet a person with disabilities during a trip? The ability of the receptionists of the tourist is a sore point. For example, sometimes I have the feeling of being transparent when I go into a bar, restaurant, etc. Let me explain: At the moment of ordination, the clerk addresses the person who is with me, assuming that I do not know how to speak or who is not able to know my wishes because I use a wheelchair to move. The scene becomes “fun” especially when I go abroad and I’m the only person who can talk to the desk clerk. In that case, I first let the waiter work hard to make himself understood by gestures with the other Italians. Then, suddenly, I order for everyone and he is astonished when I tell him that I learned language at university, where I graduated with honors. Why did you choose to treat this theme in the article? In the tourism sector, the perception of quality is deeply connected to the incisiveness of the work done by the staff. For this reason, Direct Rights considers the interpersonal communication of the employees as a fundamental element of accessible hospitality. Services that rotate so much around the psycho-physical satisfaction of the client can not fail to focus on training on communication techniques, to allow operators to increase the interaction with customers through the understanding of needs and desires. This is because, if you want to offer a service and a quality image, it is necessary to create an offer addressed to the general public, but it is equally important to personalize it on the individual customer to create a higher level of fidelity. What can be done to improve reception? Today the relationship between tourism and hospitality for all is a link that is anything but obvious. On the other hand, it is important to consider accessibility as a transversal discipline that is necessary for every tourism operator, at any professional level. For this reason, Direct Rights organizes training meetings in order to free the minds of employees from prejudices and stereotypes showing how the relationship with customers who have special needs does not imply different practices from those that are the basis of the relationship with any other person. In the same way, the association promotes demonstrations aimed at making public and private managers aware of the good accessibility practices that have succeeded in producing socio-economic development. SIMONA PETACCIA: Journalist since 1999 and President of the nonprofit Direct Rights who designs, teaches and communicates tourism accessible since 2008. I believe that communication can not be entrusted to some “beautiful soul” working for associations and committees, with other professional skills. To bridge the current gap between operators, the media and the public, it is necessary to understand that communication is a doctrine taught at university and, as such, can only be the result of an organized and conscious commitment to be entrusted to professionals in the sector. The first law that spoke of breaking down architectural barriers dates back to 1971 and if, after more than 40 years, we still continue to talk about it means that we have not managed to make the concept feel for what it really is: an important lever for competitiveness economy of our country. We work to bridge this communication gap. « What kind of recreational activities can be proposed to clients with Down syndrome?